News: Results from Ironman Taiwan; Strongman Japan is coming up; John's ITU update. This Weeks Discussion: Many of us have had training partners that do something that really annoys us. So this week we want to know what are those things are for you. Let us know what has annoyed you by the people you train with. Comment here. This Weeks Photo: Skip "Bonecrusher" Slade sent through this weeks photo. 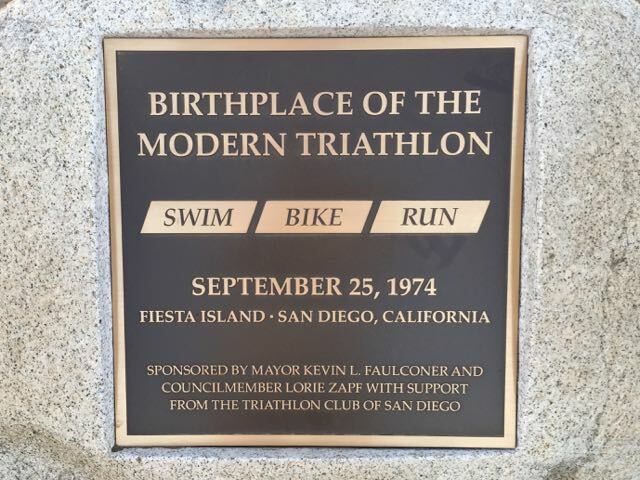 It's a plaque that is on Fiesta Island, where the first triathlon was run. 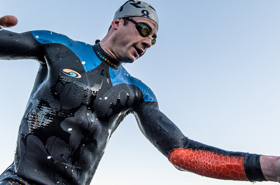 The team at Blue Seventy have given us one brand new Blue Seventy Helix wetsuit to auction off in the U.S. It's a great way that you can support our show and also get yourself a cool new wetsuit. Click here to go to our ebay auction and get your chance to win! The auction closes on April 24th PST American time. Statstastic: This week we cover the first person to go sub 3 hours in the run at Kona. Here's the great article about it. Coaches Corner: This week John spends a lot of time covering if you should get a power meter and if you do what you need to know. This Weeks Websites: Dave Alley's race around Australia; Why WTC has military slots.